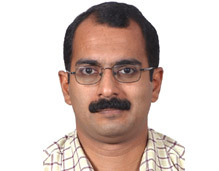 Dr. Samuel J. Kuruvilla received his PhD from the University of Exeter (Politics & Theology) in July 2009 for his research on the topic of radical Christianity in the Holy Land with particular reference to a comparative study of liberation and contextual theology in Palestine-Israel. His doctoral research concerned an analysis of the role played by radical ecumenically-oriented Palestinian Christians in the national, political and socio-cultural development of Palestine since the start of the First Intifada. This was in the context of the use and role of the politico-religious aspects of comparative liberation theology. His past research focused on the intersection between religion and politics in Israel-Palestine and the greater Levant.